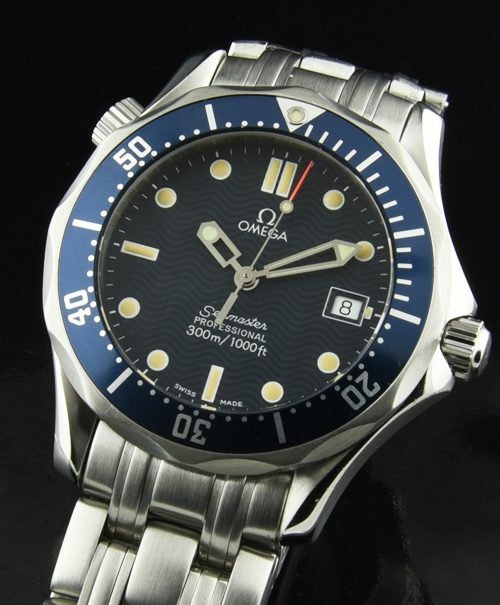 ***WE have 2 of these available—–This is a men’s OMEGA SEAMASTER James Bond mid-size (36mm.) 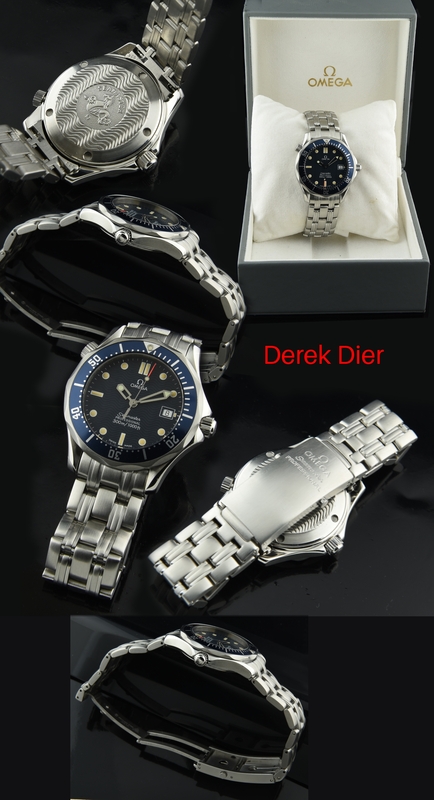 watch having a reliable and highly accurate OMEGA quartz movement. This is a perfect size for those loving a more discreet sized sporting watch. Look at the amazing vanilla luminous on this great looking dial! The case and OMEGA bracelet all display stellar condition. This watch has a turning diver’s bezel and screw-down OMEGA crown. An OMEGA box is included-no papers. This will be you perfect every-day or travel watch. I really love these watches and believe they are already a classic. It’s great to own a highly reliable OMEGA quartz…just pull it out of your drawer, no winding… already accurate, and use it set the time on your mechanical watches.